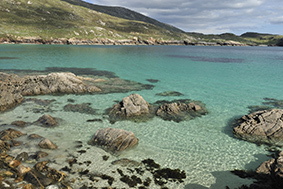 Famous for being the birthplace of the beautiful Harris Tweed, the Isle of Harris is also a shooter’s, stalker’s and fisherman’s paradise. 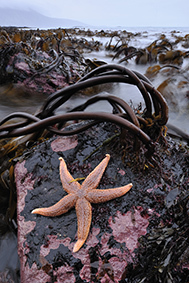 The waters around are abundant with lobster, salmon, crab, trout and Arctic char, and the island is considered to be one of Europe’s last untouched wildernesses. The infamous Stornoway Black Pudding and award-winning Stag Bakery Biscuits are made here, as are delicious goat’s cheeses and the tenderest lamb you can buy. The island is also teeming with wild game, so venison, smoked goose breast and roasted woodcock make up your daily meals – it’s a true food-lovers paradise. And just a short distance from shore is the island of Taransay, where the BBC series Castaway was filmed in 2000. The self-sufficient work unit that is up for grabs is powered using solar electricity and qualifies for business rates relief, so a small business can take on the 66 metre squared space with few overheads. The island is also home to colonies of cormorants, gannets, the migratory Arctic terns and golden eagles, while dolphins and whales dance offshore, and the town has recently built a new school, so this relocation opportunity is perfect for young families. If you’re passionate about food and are interested in this once-in-a-lifetime opportunity click here or call David at the North Harris Trust on 01859 502222. Hopefully see you up here soon! In love with this idea. Just showed Mr Bunny too. It’s such a stunningly beautiful island.